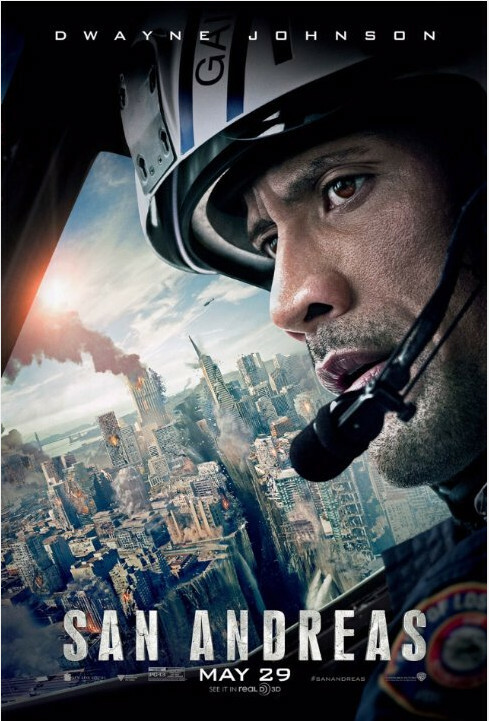 For a special edition of Two Minute Movies, I present San Andreas, as told by the woman in the seat next to me. She was very excitable and quite entertaining. I’ll be honest, I got more into this woman’s reactions than the movie itself, so I’m sure there’s a lot I missed in the movie. Be warned, I’ve included context, which means it is full of spoilers. For time reference, the movie started at 7:30. Enjoy. 8:20 My wife has lost our Milk Duds. This is the real disaster. I don’t know if I can make it through the rest of the movie. 8:21 Lady: “Why are these lights on?” – This is the same question I asked an hour ago. When the movie started. I don’t know why they left the house lights on, even at a low level. It’s a bit distracting, but helpful for this endeavor. 8:38 I dare to eat some snacks, at the risk of missing something important either in the movie or with the lady next to me. 8:39 I missed nothing during my snacking. Still no sign of the Milk Duds, though. This may be the worst movie experience I’ve ever had. 9:25 Credits roll. Lady: “That was good!” *claps* “I’m gonna go.” With that, the woman disappeared. Honestly, I’m a little surprised my neighbor survived the movie. I lost count of how many times she grabbed her chest. If you have a weak heart, this may not be the movie for you. The full review of the movie can be found here.